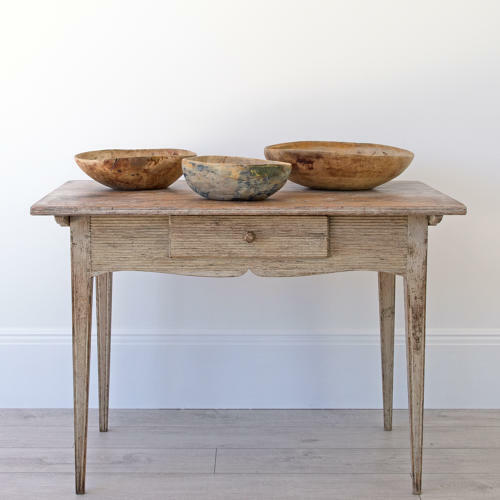 A wonderful trio of primitive Swedish wood root bowls with gorgeous time-worn patinated surfaces and traces of their original folk art paint. Two of the bowls are initialed and dated on the underside. 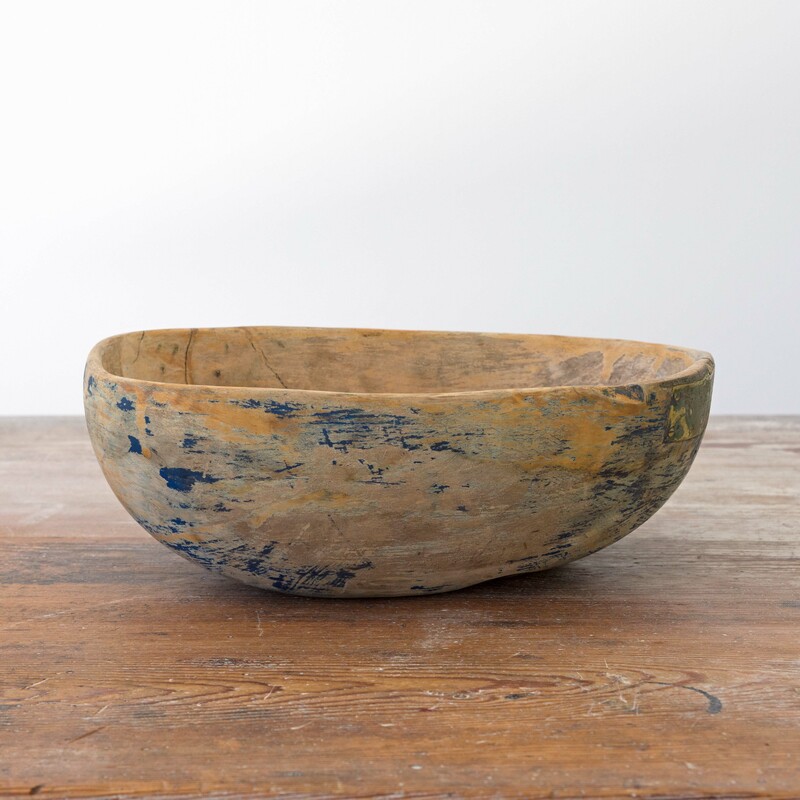 The smaller bowl has remains of its stunning original electric blue patina and was first inscribed in 1818 with a subsequent date of 1873. The largest bowl has a faded original inscription of 1802 with a later 1835 engraving. The middle sized bowl has traces of its original ochre paint and is a little earlier, dating from around 1750 to 1780.